Having had a day’s rest after the meeting with Oleksandriya, the team is back to the usual training mode. The league leaders are facing a game vs Karpaty, which will be held in Kharkiv on 19 November. 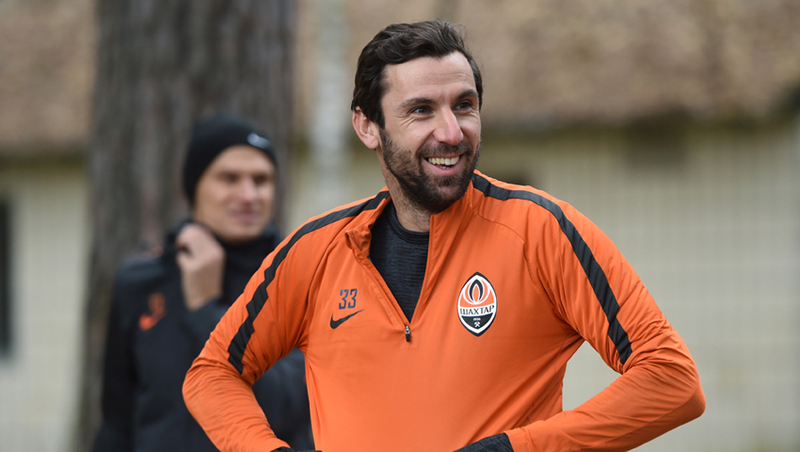 Today, the charges of Paulo Fonseca had another training session at the countryside base Sviatoshyn. The session involved 19 players, including two reserve team players: defender Danylo Sahutkin and goalkeeper Oleh Kudryk. Shakhtar has no injured players, so everyone trained without exception. Only Taison trained individually, but later he joined the main group. Until Friday, the Donetsk side will be training in the morning, with November 12 and 13 being announced as days off for the team.